If only Henry Cavill and Ben Affleck would do the same. This unfortunately isn't an outtake or deleted scene from Zack Snyder's upcoming Batman v Superman: Dawn of Justice. However, Coheed and Cambria have made superhero fans around the world infinitely happier. The progressive rock band's latest music video, "Island," features Time Square's posse of costume characters. 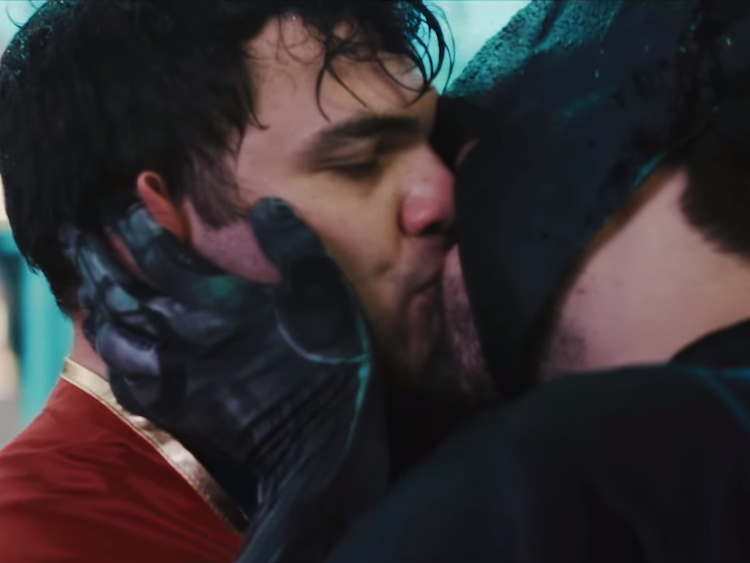 We won't spoil the entire video, but Batman rescues a very cute Superman from a couple of unsavory animal characters before going in for an epic smooch.